The multi-instrumentalist and singer-songwriter may be barely into his 20s, but he's already making waves as one of the most talented musicians of his generation. He talks dropping out of Uni and being managed by the great Quincy Jones, with Maxim Boon. From Elvis Presley's Graceland mansion in the heart of Memphis, to the Abbey Road pelican crossing made famous by The Beatles, and the rock-n-roll playground of the "Riot" House on Sunset Boulevard, music lovers have long made pilgrimages to experience first-hand the places where their idols once stood. 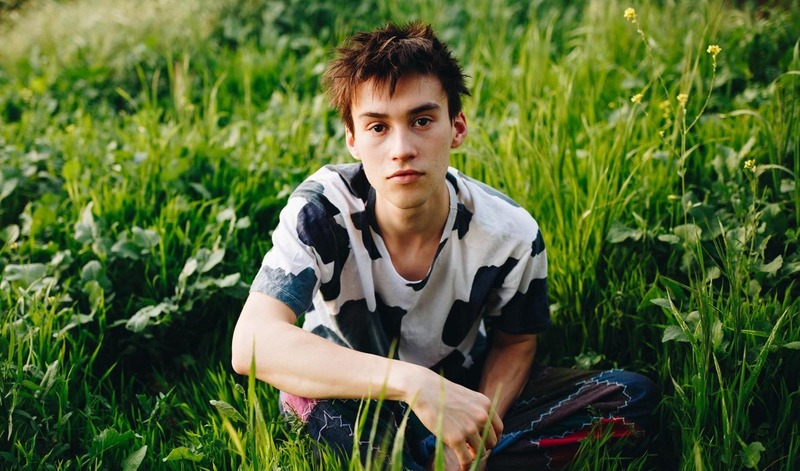 And given the scale of his accomplishments to date, it wouldn't be a stretch to imagine the North London family home of 23-year-old singer-songwriter Jacob Collier one day being counted amongst those famed landmarks. The modest music room at the back of this seemingly unremarkable Finchley townhouse is where Collier developed his astonishingly fresh brand of contemporary jazz-funk, a unique musical identity that has since been declared by critics as "ingenious" and "mind-blowing." From this room, he taught himself to play a dizzying number of instruments to extraordinary levels of virtuosity. It's also where, in a makeshift studio piled high with guitars, ukuleles, mandolins, exotic percussion, synthesisers and microphones, he honed a compositional craft that today seems capable of near boundless invention. And it's in this room that Collier recalls his first memory. "I was in my mum's lap. She was playing me Bach on the violin – there's a bunch of amazing unaccompanied partitas he wrote – and I just remember really clearly bouncing on my mum's knee, like, 'Yeah, this is the best thing ever,'" he shares. "I remember her being so thrilled because I was really vibing off this music. And that memory has always stayed with me, because it feels like the moment, before I understood anything about making music, that I began to understand the gestures of music and the way that it could make you feel." Given the calibre of Collier's technical prowess and the complexity of his tracks, not to mention the fact that his mother is a professor of violin at the prestigious Royal Academy of Music, you might assume his accomplishments are the product of intensive training. In reality, formal education has never held much importance for Collier. "I hated music theory when I was a kid. I couldn't stand it," he admits. "But I was always fascinated by sounds, you know. I've never read a single book about music theory or anything like that. So I started to coin my own terms for things and come up with my own way of talking about music and the kind of character it had. "When I was about 16, I went on this weekend jazz school thing, and I found out that there were proper names for the stuff I had come up with by myself. So I was like, dumped into the middle of this world of terminology. And certain things - certain scales and modes - I had been drawn to naturally, but other things I was doing, certain ways of approaching harmony, didn't actually exist in the theory books. But it all kind of made sense to my ears because I saw those scales and progressions from a different angle." He initially enrolled in the Royal Academy's jazz piano program aged 18 but dropped out after just two years to pursue a more worldly mode of learning. "Nowadays you can gather 'tools' [for exploring music] from everywhere. You can gather tools from a degree, or from the internet, or from your friends, or from records, or just from living your life. And every person has a different way of gathering information," Collier insists. "For me, absorbing those tools has always driven a push to create. Being at the Academy for two years sort of gave me this lovely bunch of stuff to do that, but I wanted to do more, creatively speaking. And I think it reached a point where I wanted to do that more than I wanted to sit in a classroom." The gamble has certainly paid off. Since he began posting multi-tracked videos of jazz and soul standards to YouTube in 2011, in self-produced recordings performing every part, both vocal and instrumental, he has racked up millions of views. His 2016-released debut album, tellingly titled In My Room, picked up two Grammys and attracted A-list collaborators as diverse as legendary film composer Hans Zimmer and pop megastar Pharrell Williams. He's even collaborated with engineers and acoustics experts at MIT to develop a "one-man, audiovisual live performance vehicle," which in true Collier fashion, seems to defy conventional explanation. And of course, he's also picked up a fair few fans along the way, including juggernaut talents like Herbie Hancock, Chick Corea, kd lang and the great Quincy Jones, who now acts as Collier's manager. As one of the elder statesmen of popular music, 85-year-old Jones has often been outspoken about the industry, (including in that recent interview with Vulture.com). But Collier shares a touching, personal perspective on his mentor. "He's such a character. He's just one of these fearless human beings, and it's beautiful in every way. I think, you know, that fearlessness can be taken to various degrees, but the thing with Quincy is that there's such love and compassion for humankind behind it. And that's just really a rare thing to see in someone at the very top of the tree, who can't get higher. He's at the leading edge of the music industry, so to see him be such a human being and have such beautiful core values at the centre of what he does, it's freaking awesome." First published 3 Apr 2018, for The Music.